Art does more than just hang around on walls! Art on walls enhances and elevates your clients perception of your home or business, it has been shown that art on work place walls reduces stress in workers, encourages right brain activity through debate and differing views – it relaxes and invigorates with equal measure, improve staff morale and increases productivity. 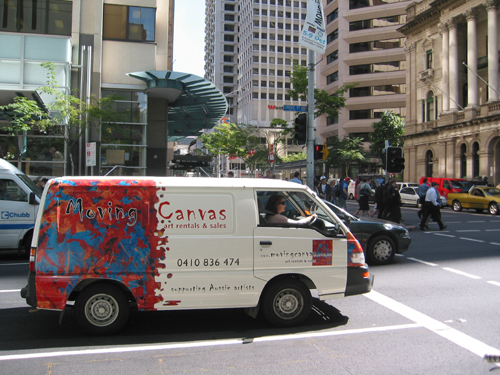 Launched in Brisbane in August 2004, Moving Canvas Art Gallery for Rentals & Sales is a partnership owned and operated by Mike Banks aka Banx and Kaye Fox aka Artyfox. Moving Canvas offers original contemporary abstract Aussie art on canvas and aims to brighten the lives of employers and employees across Brisbane. There are no long-term contracts, just great art that you can change quarterly if you wish, or buy, and site-specific art is our specialty. We support local Aussie artists and have a growing portfolio of exciting works to offer, which are mainly abstract, on canvas, always original, interesting and guaranteed to stimulate creativity in any corporate environment. Please refer to leasing Information for prices. We look forward to meeting you and finding out what we can do for you. Born and raised in Brisbane, Kaye Fox returned to her ‘hometown’ in 2004 to launch ‘Moving Canvas’ after traveling and working overseas for ten years in various creative industries throughout London, Europe and New Zealand. 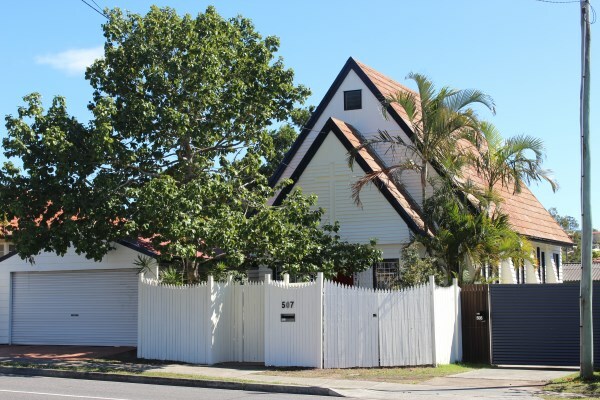 Kaye gained a Bachelor of Business Communication and a Masters of Business from QUT in 1994 and worked in marketing positions in the Brisbane corporate world before leaving for London. Kaye has always been passionate about art, particularly contemporary Australian art, citing Brett Whiteley, Margaret Olley, and Charles Blackman among her favourite artists. Bold, colourful, eclectic interior design is an added personal passion, and Kaye’s changing canvas in this respect has been the fifteen homes she has decorated around the world over the last several years. 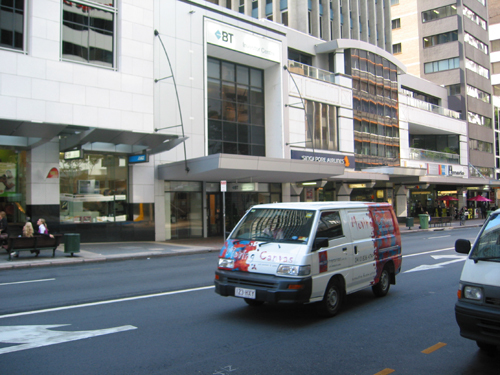 Most recently, in New Zealand, Kaye and Mike ran the Wellington studio of Art Bureau Limited, a New Zealand art rentals agency. 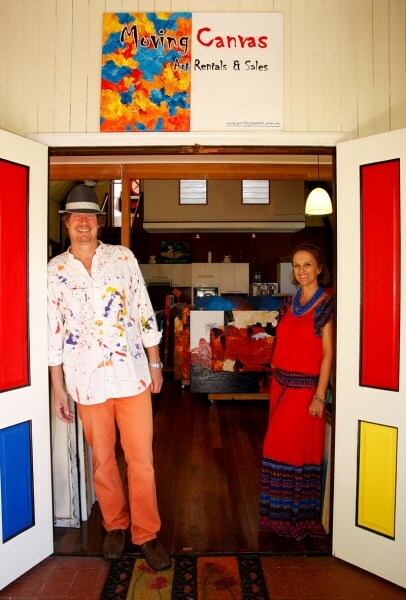 Prior to that, Kaye owned and operated a small art gallery and retail shop in Russell, Bay of Islands, and is herself a part-time abstract artist preferring to work in bold, simple, colourful acrylics and, collage art in her Artyfox range – fun, funky and feminine. Kaye co-authored Meg A Feather and the Forest Games, a children’s book. Back in Brisbane, her roots, and a sixth generation Aussie from the 2nd fleet, Kaye is proud to be representing a myriad of emerging Aussie and in particular, Queensland, artists whose creative inspiration comes from the spectacular country she once got so homesick for! Born in Sri Lanka, schooled in England and Scotland, worked in London, Wales and New Zealand. A New Zealand citizen of the world, Mike is proud to now call Australia ‘home’. He fell in love with this country after traveling through the red centre and climbing Uluru in his twenties. A self-taught artist and children’s book illustrator, Mike has illustrated and drawn for most of his life, following in a long line of several generations of artists in his family. Oils, watercolours, detailed pencil drawings and lithographs feature in Mike’s early work. Mike paints professionally as Banx in Acrylics and Oils. An artist-in-residence at The Quarry in Whangarei, New Zealand before moving to Australia, Mike organised and ran art courses, life drawing groups and drawing courses for special-needs students. A caterer, a carpenter and a commercial signage designer in a former life, Mike’s current passions extend to site-specific art commissions for Corporate Offices, working in acrylics/mixed media and oils.